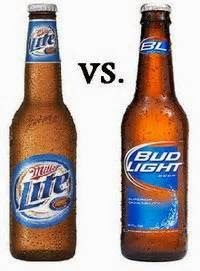 Rampaging Cattle Prefer Bud Light Over Miller Lite! Ahhhh Summer Time. The season of warm weather, gentle breezes, backyard cook outs, cattle drinking all your beer...wait! Whaaaaaat the hell?! Beer-drinking cows? That's not the only Dumbass Detail about this story. Beer-swilling bovine is not exactly a topic commonly brought up around the water cooler at work, but if the subject of cows drinking barley pop ever came up you'd think it would happen in a place famous for having lots of cattle - like Texas, Montana or Wisconsin. That is not, however, the case with this edition of Dumbass News. Imagine that you are having a few friends over to your pad for a BBQ and cold beer. Easy enough, it's Summer Time and that sort of thing happens this time of year. It's also inevitable that some uninvited Dumbass will hear about your soiree and stop by to ruin an otherwise good time. That's bad enough. But when the party is crashed by a whole herd, and I mean herd, of non-invitees, the damn thing goes to Hell in a hand basket real quick like. ...in Massachusetts??!! You mean the home of Bean Town, the Patriots, Paul Revere and the Red Sox Massachusetts? Yep. That's the one. This ordeal took place in Boxford, Massivetwoshits when the police were rounding up a herd of cattle that had escaped their confines. As the (insert John Wayne movie title here) moment unfolded, the cattle decided to break ranks and head for the hills. Or in this case, someone's back yard. smell a marketing campaign for Bud Light coming up here. I have come to a couple of conclusions after reading about this. Conclusion 1: Besides the obvious Bud Light campaign yet to be gleaned from this deal, I am firmly convinced that some Einstein out there has already started making plans to keep his cow herd drunk and sell the meat as "pre-marinated". Conclusion 2: The next time I am having a party I will be serving my guests Miller Lite just in case there is a cattle stampede. The cattle can bring their own Bud Light.